The Ladies of Rho Epsilon Zeta Chapter participated in the Annual College Fair hosted by Turner Chapel AME Church in Marietta, Georgia on October 24, 2015. 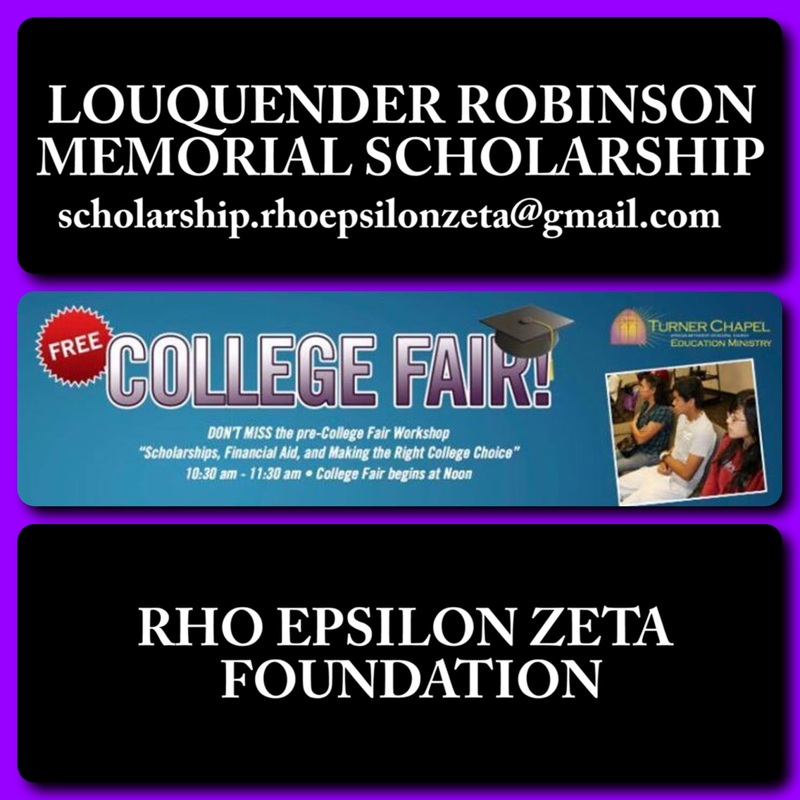 Applications for the Louquender Robinson Memorial Scholarship were distributed to high school seniors who reside in Cherokee, Cobb, Gwinnett, North Fulton and Paulding Counties. Soror Robinson became a member of Zeta Phi Beta Sorority, Inc. through the Omega chapter on the campus of Winston-Salem State University in the spring of 1997. In 1999, she became a Charter member of Rho Epsilon Zeta chapter was an active member until her death. Her love of education prompted Rho Epsilon Zeta to offer a scholarship in her memory. 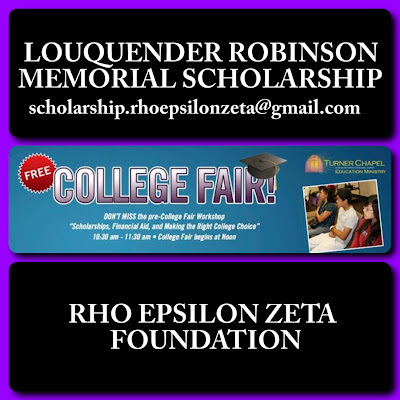 To experience this event, please visit our YouTube channel RhoEpsilonZetaTV and view the video “RHO EPSILON ZETA @ 2015 TURNER CHAPEL COLLEGE FAIR”. 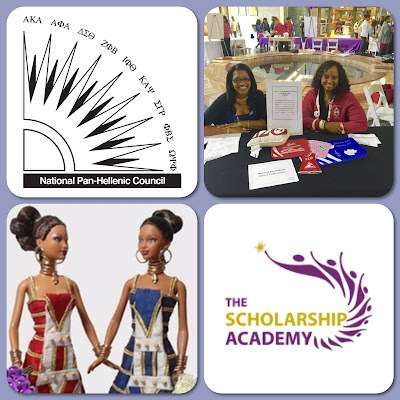 Scholarship applications were distributed at the Annual College Fair hosted by The Scholarship Academy held at Atlanta City Hall on November 4, 2015. Rho Epsilon Zeta attended as a member representative of the Cobb County NPHC along with the Marietta-Roswell Alumni Chapter of Delta Sigma Theta Sorority, Inc.
On Monday, November 9, 2015, Rho Epsilon Zeta participated in a “dining to donate” event at Chili’s restaurant in Austell, Georgia. Chili’s Give Back Night supports the community by giving back to not-for-profit organizations. Participating organizations will receive 10% of the sales from dining guests when the event voucher is presented. A portion of the proceeds will support the Louquender Robinson Memorial Scholarship. 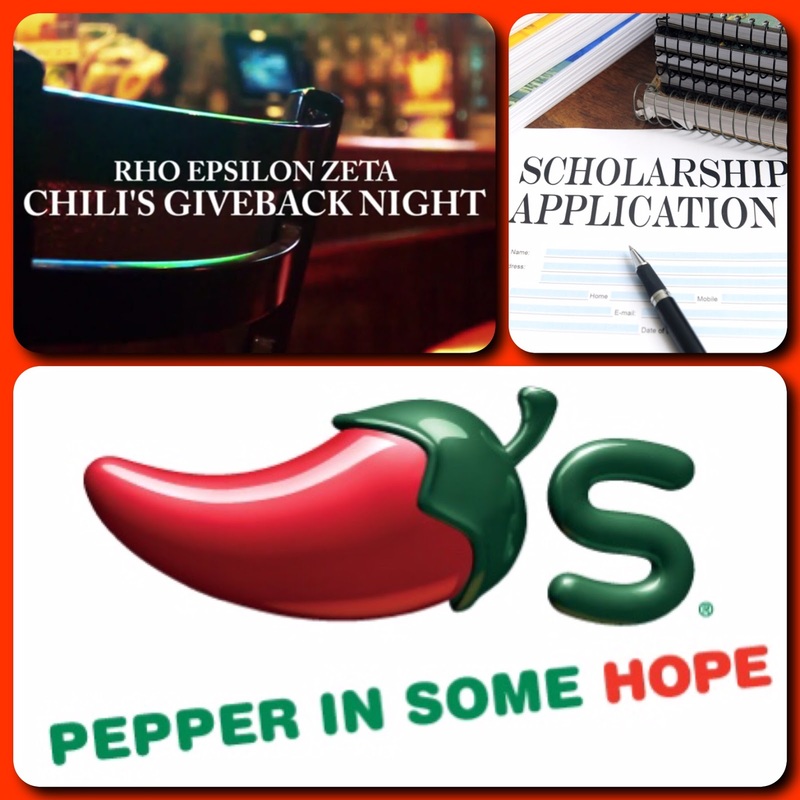 To experience this event, please visit our YouTube channel RhoEpsilonZetaTV and view the video “Chili’s Giveback Night Rho Epsilon Zeta”. 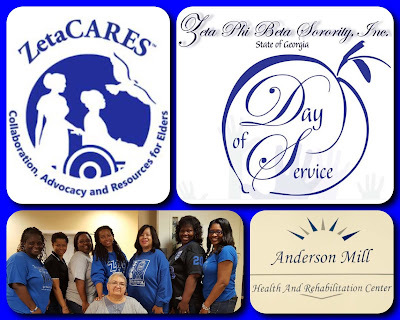 Zeta Phi Beta Sorority, Inc. – State of Georgia chapters participated in a Statewide Day of Service on Saturday, November 7, 2015. The Ladies of Rho Epsilon Zeta visited with the residents of Anderson Mill Health and Rehabilitation Center in Austell, Georgia. To experience this event, please visit our YouTube channel RhoEpsilonZetaTV and view the video “2015 Zeta Phi Beta Sorority. Inc. Rho Epsilon Zeta Statewide Day of Service”.